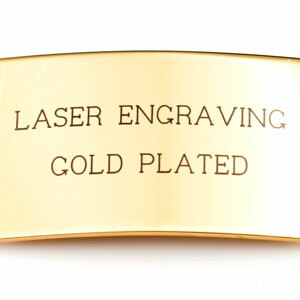 No matter the occasion, engraved footprint jewelry makes a great gift for parents, family, and loved ones. 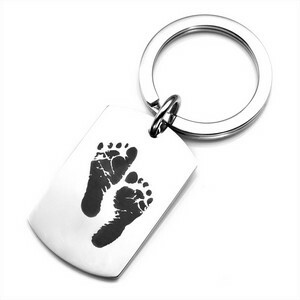 Though there's no way to freeze time and keep a child by our side forever, this Footprint Pendant allows you to carry a little print of them with you every day. 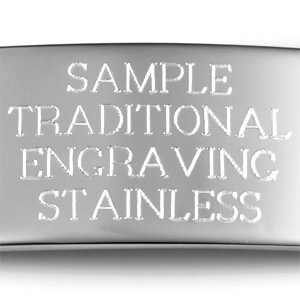 This key chain with a stainless steel dog tag can be engraved on back with a name, date, symbol, or monogram. You may choose between the stock footprints (depicted in the photo) or select the custom option and e-mail logo@thoughtful-impressions.com with a JPG image of your child's footprints! 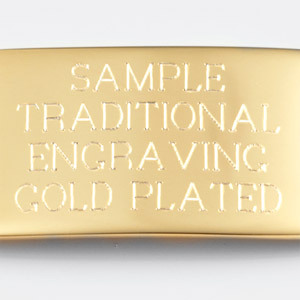 Please aim for the highest resolution and best lighting possible of your photo or scan to get the most out of the engraving. 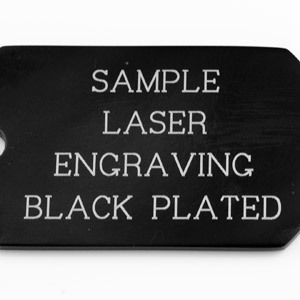 NOTE: Footprint will be engraved in black laser style by default; if you want it in traditional (etched-in) engraving, please specify in special instructions or call our customer service. 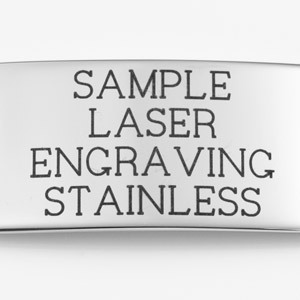 Up to 7 lines of 20 characters each, including spaces!